Jon’s birthday was Saturday and, as is our custom, we always begin celebrating a few days leading up to the event — mostly with the honoree’s favorite foods being enjoyed. This year, Jon’s birthday blow-out coincided with a visit from some of our best friends who also enjoy the same food penchants we do, including doubling up on the garlic, olives, or hot chiles in most any recipe! One of Jon’s birthday meal requests was pizza (as it is most every year!) 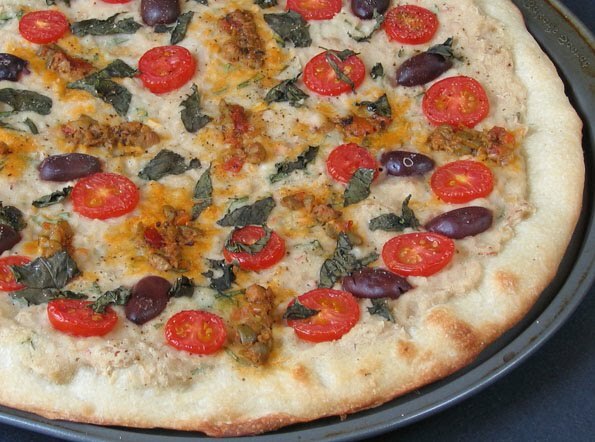 I decided to make the Tuscan White Bean Pizza from Vegan on the Cheap (see May 13 post: http://veganplanet.blogspot.com/2010/05/tuscan-white-bean-pizza.html). 1. I doubled the amount of garlic in the white bean topping. 2. Not only did I mix lots of fresh basil into the topping, I also liberally spread basil on top of the topping as well. 3. I used thinly sliced super-sweet grape tomatoes on top along with halved and pitted kalamata olives. 4. For a big finish: I dabbed small spoonfuls of green olive and tomato tapenade on top of the pizza. Everyone eating this amazing pizza was speechless — mostly because their mouths were stuffed with pizza! But between bites, we all agreed it was outstanding. If you haven’t tried it yet, I hope you will — and let me know if you add any “extras” — I think next time I’ll add a few shakes of hot red pepper flakes or some slices of my homemade vegan pepperoni! Whenever I get one of those nagging food cravings I usually give in to it right away so I can get it out of my head and get on with my life. That’s how it was with this vegan meatloaf. Despite the fact that it was 90 degrees outside, I just had to turn on the oven. First I cut up some veggies and got them roasting. For the loaf, I used the recipe for Three-Bean Loaf from Vegan on the Cheap. It’s an easy and versatile recipe that combines minced onion, carrot, celery, and garlic with beans (you can swap different kinds), oats, wheat gluten flour, bread crumbs, and seasonings. That’s it. Just shape and bake at 375 for about 50 minutes. The recipe calls for adding a topping made with ketchup, mustard, brown sugar, and vinegar, but I just added a strip of ketchup on top instead. As dinner baked in the oven, I inhaled the wonderful fragrance. It got me to reminiscing about my first foray into cooking a vegetarian meal back in the ‘70s. It was a bean loaf I made from a then-rare vegetarian recipe I found in a magazine. I admit that first bean loaf I made wasn’t the greatest, but to me it tasted like freedom. For the first time I felt empowered that I could go vegetarian and never look back. 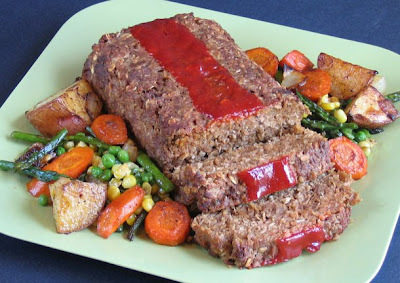 At dinner that night, I thought about the significance of that first meatless loaf so many years ago and it made my delicious dinner taste all the more satisfying. This latest contest has turned up an unexpected surprise. In my quest to give away two copies of Vegan on the Cheap, I asked you to leave a comment completing the sentence “Vegan equals ___.” I was overwhelmed by the amazing response. Not just in terms of numbers (over 150 comments!) but in the depth of feeling in your responses. It occurred to me while reading through these comments that it reads almost like a beautiful poem or an affirmation about what it means to be vegan. When I read these statements, I feel energized, even empowered, so I thought you might enjoy reading “Vegan equals ___” in the same way so you can see why I say that the responses I received from all of you is the best prize of all! By the way....contest winners will be announced at the end of this post! Vegan equals Exuberant! With a lust for life - my own and all other creatures! 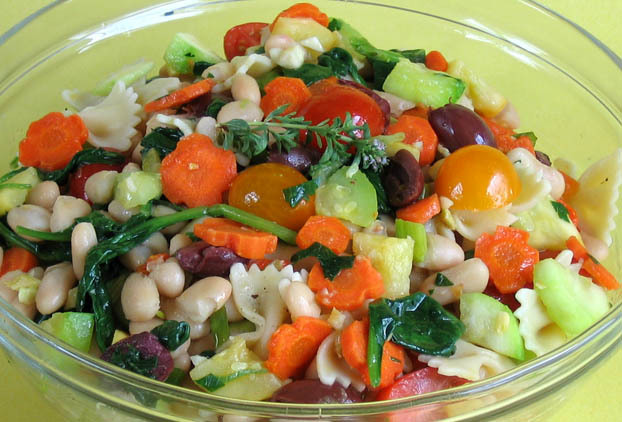 Vegan equals expanding your diet not diminishing it. Vegan equals exciting new foods! Vegan equals feeling great, both mentally and physically. Vegan equals doing something wonderful for my body, mind, and world around me! Vegan equals best way to live life! Vegan equals simple and healthy. Vegan equals inspiration and culinary adventure! Vegan is kindness, peace & LIFE!! Vegan equals peaceful, happy, healthy yumminess. Vegan equals compassion and respect. And great food! Vegan equals my road to recovery. Vegan equals saving 100 animals per year! Vegan equals healthy body, clear conscience! Vegan = a Loving Living! Vegan equals creative cooking, colorful eats and vibrant health. Vegan equals love for all beings. Vegan equals a healthier planet. Vegan equals a better me, a better family, a better world. Vegan=Love for yourself, the environment, the animals and for the future generations. Vegan equals a whole new world! Vegan equals feeling good and having energy! Vegan equals compassion and peace. What do you think? Do you like this as much as I do? (Note: I deleted answers that were duplicates --except for those few at the end). And now, here are the winners of the Vegan on the Cheap “Double Your Luck” Cookbook Giveaway. As usual, the winners were chosen by the Random.org random number generator (I still can’t figure out how to post an image of that). The second winner is: Radioactive Vegan whose response was “Vegan equals delicious!” August 13, 2010 10:39 AM. Congrats to you both! Please e-mail me with your address and I’ll get the books in the mail to you. Thanks again to everyone who entered. Another contest will be coming soon, so stay tuned. And thanks again to everyone who participated in this contest. Your comments were really special! 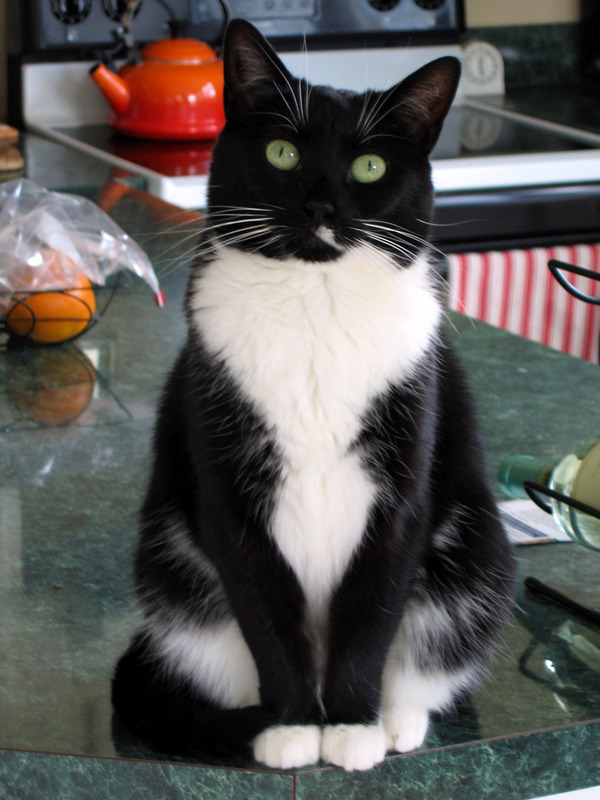 I don’t want to leave you without a photo, so here’s one of little Mitski. Cute, isn’t she? Entry #2: For a second chance to win, share the news about this giveaway on Facebook, Twitter, or on your own blog, then come back and leave a second comment here to let me know about it. But wait, there's more! To increase everyone’s chances of winning even more, I’ll be doing TWO drawings and giving away two copies of Vegan on the Cheap. I guess that means you actually have FOUR chances to win. 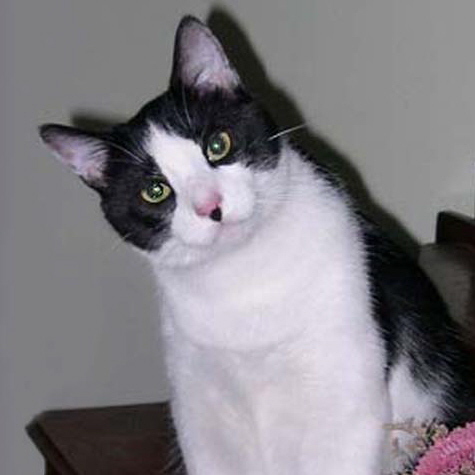 The two winners will be announced here on my blog on Thursday, August 19. Feeling lucky? Enter now! Summer Pasta — and Cookbook Giveaway Winner! Do you ever come home from the Farmer’s Market with so many wonderful vegetables you can’t decide what to make first? That’s what happened to me the other day. Rather than face a tough decision, I decided to use a little bit of everything, including tomatoes, zucchini, spinach, carrots, scallions, garlic, basil, and oregano. Because the dish included the best that summer has to offer, I call it Summer Pasta, but it could just as easily be named Farmer’s Market Pasta. I start with sautéing lots of garlic in a little olive oil, and then it’s all about combining colorful vegetables with fragrant herbs from the garden. The pasta is almost incidental to the dish and recedes to the background as the vegetables and herbs come together to work their magic. To everyone else: Stay tuned for another Vegan on the Cheap giveaway real soon! "Robin has exploded the myth that eating healthy is too expensive. Vegan on the Cheap is the perfect book for an economical approach to healthy eating. Perfect book at the perfect time." -- Howard F. Lyman LL.D., "The Mad Cowboy"
If it’s August, it must be the Veggie Awards! Yes, it’s that time again: the VegNews Veggie Awards. Time to vote for all your vegan favorites! This year, I’ve been nominated in two categories: “favorite cookbook author” and “favorite VN column: Global Vegan.” You can also cast a “write-in” vote for this blog “Vegan Planet” for favorite veg blog. As if being nominated wasn’t wonderful enough, this year, a collection of 5 of my cookbooks is being awarded as a prize! There are lots of other great prizes too. All you need to do to enter is fill out at least 50% of the survey. It just takes a couple minutes. Here’s the link. I hope you'll vote for me so Gary can be proud of his mom! 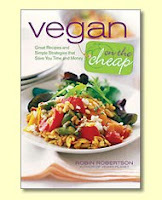 Be sure to enter the giveaway for a copy of Vegan on the Cheap. (See the previous post to enter). The winner will be announced on Sunday, 8/8! 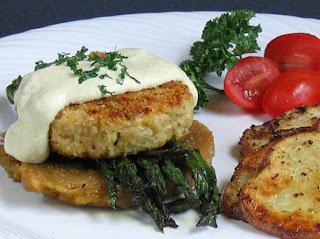 Seitan and “Crab” Oscar — and a Cookbook Giveaway! Although I rarely buy prepared faux meat products (give me seitan, tofu, or beans any day), I’m always intrigued when a new line of products comes out, especially when they are of stellar quality. I view such products as vegan "ambassadors" or a helpful bridge for anyone reluctant to go veg because they think they’ll “miss the meat.” Sometimes all it takes is one good vegan meal that has the flavors and textures they enjoy, to prove to them that going vegan isn’t about deprivation. So when the people at Match Meats offered to send me some samples of their premium gourmet-quality products, I was eager to try them. I’ve been especially keen on sampling the “crab” product to see if it could indeed “match” the real thing. I made a batch of faux-crab cakes. Instead of serving them on their own, I decided to go all out and make a vegan version of the classic “Oscar” dish. I used sautéed seitan as the base cutlets, topped them with roasted asparagus and the “crab” cakes, and then spooned some vegan hollandaise on top. This dish has “special occasion” written all over it. The texture and flavor of the Match Meat crab is great and can only be described as scary-good. (How do they do it?) Our dinner was so fantastic we wanted to lick our plates. 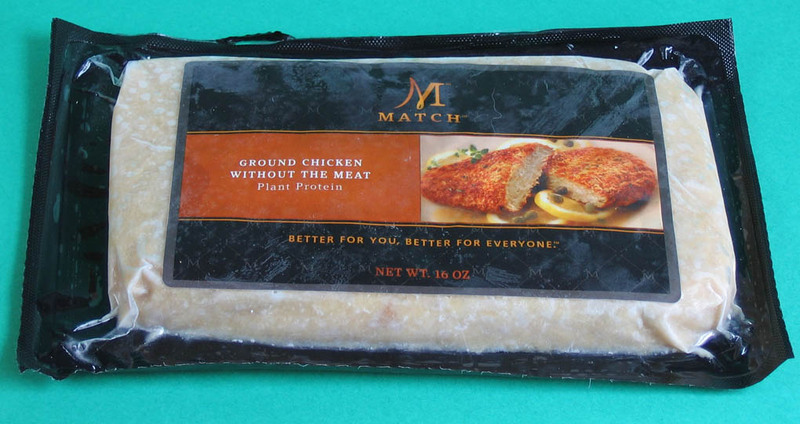 Fair warning: Match Meat products are a bit pricey, but if you’re looking for something different for a special meal, you might want to give them a try. If you still don’t have my latest book, Vegan on the Cheap, now’s your chance to win a copy! Just leave a comment at the end of this post and tell me what your favorite “cheap” ingredient is. A winner will be chosen at random on Sunday, August 8th. Good luck!